Researchers: T. Murray, N. Selmes, T. D. James, I. Rutt, Swansea University; M. Nettles, Lamont-Doherty Earth Observatory; L. M. Cathles, University of Michigan; J. C. Burton, Emory University; S. Edwards and I. Martin, Newcastle University; T. O’Farrell and R. Aspey, University of Sheffield; and T. Baugé, Thales UK. 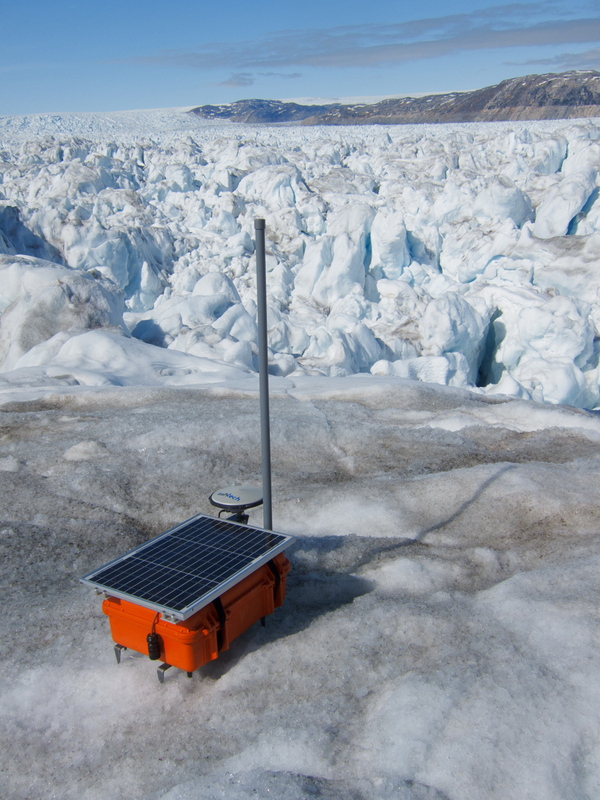 GPS sensors record the motion of the Helheim Glacier in Greenland as ice calving occurs at its terminus. 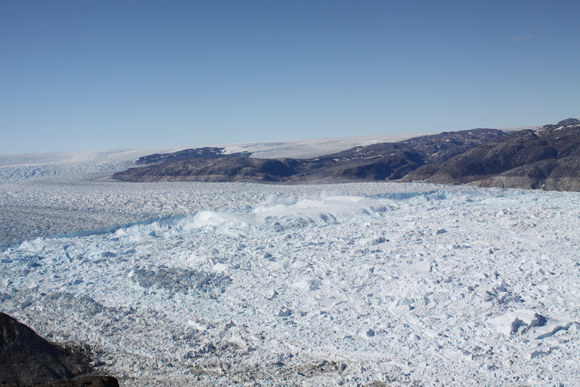 As the iceberg rotates and rolls off sideways, the glacier springs backwards and moves downwards. This action produces an earthquake and the GPS sensors record all the motion and help to explain how glacial earthquakes occur. With this understanding, glacial processes and ice loss can be better determined even if the calving event is not witnessed, because remote seismic instruments can record these seismically-distinct ice events. Greenland and Antarctica lose massive amounts of ice from their extensive ice sheets through ice calving, particularly at the coastal margins. About 30 to 50 percent of Greenland’s ice loss is through calving. As the earth warms, the rate of calving has increased. Glacial earthquakes of magnitude 5 have been observed globally and are related to calving of large glaciers near their marine termini. The earthquakes are different from tectonic events because their duration is longer than a minute and the seismic data suggest a nearly horizontal force is acting on the glacier. Several possible explanations have been put forward to explain glacial earthquakes. 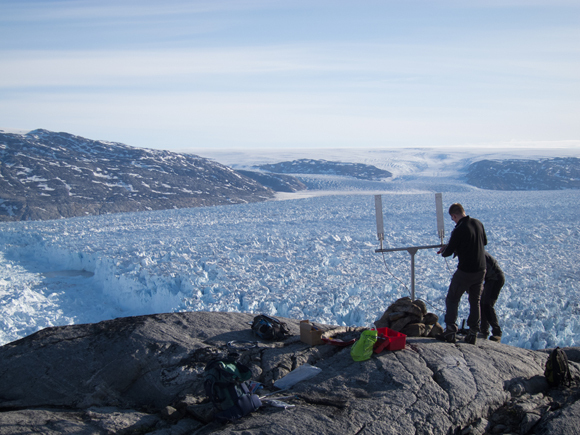 Here the authors deploy GPS sensors on the Helheim Glacier near its terminus to record the motions of the glacier before, during and after a calving event. 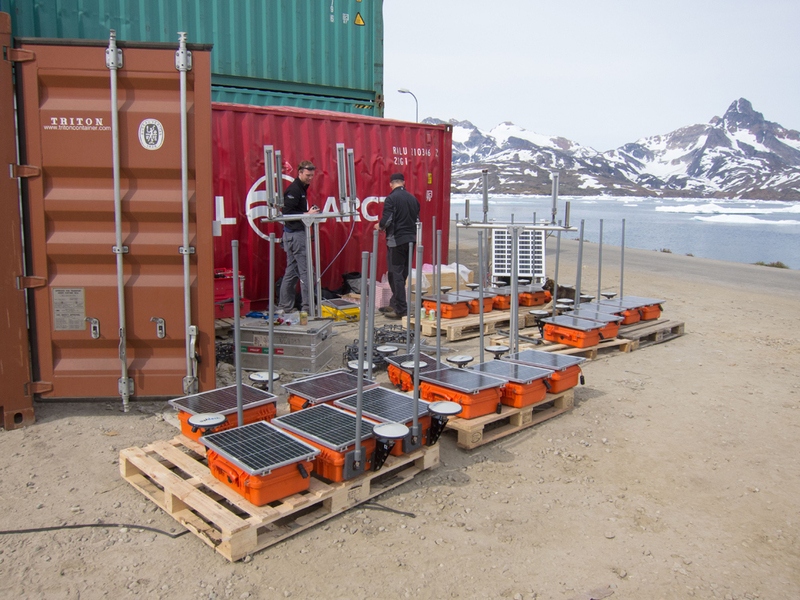 The sensors provide unprecedented spatial and temporal resolution of these motions and help to explain the glacial earthquakes. 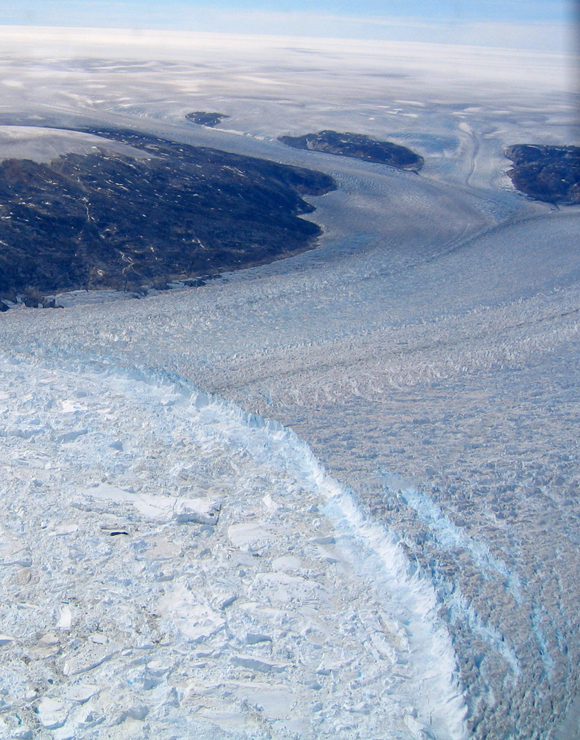 The GPS sensors show that as the calving chunk of ice moves down and away from the front of the glacier, the glacier moves backward (i.e., reverses its normal horizontal flow toward the coastal margin) because of the force of the ice loss and the acceleration away from the front. The sensors near the glacier’s terminus move downward because there is a hydrodynamic pressure drop that pulls water out from under the glacier. These forces explain the seismic signals recorded at far away seismic stations. With a new understanding of glacial earthquakes, seismic records can be used to analyze calving events that are happening at remote locations. This new understanding will also help with interpreting ice-ocean interactions. T. Murray et al., (2015), Reverse glacier motion during iceberg calving and the cause of glacial earthquakes, Science 349, 305, doi:10.1126/science.aab0460.